Vodacom Bulls coach Pote Human named as close to his strongest possible starting line-up as possible for this Saturday’s pre-season outing against the Sharks in Ballito, laying down the gauntlet for the game to be a final chance for players to impress him. Human was relatively happy despite the #SuperheroSunday loss to the Stormers last weekend, knowing the team gave away three easy tries and were 21-0 down despite doing all the play in the opening salvos. But now that the first game is a week away, he wants his charges to be “hungry” and show they want to play this year for the Bulls, and Ballito is a starting point for him. “Yes I think so, there are still a few guys who must show me they want to play Super Rugby this year, and we will see on Saturday. We will give the guys another opportunity on Saturday and they must use it,” Human said. Asked which players he was referring to, Human smiled. Human named Springbok Jason Jenkins in his first start to partner Lood de Jager in a combination that will likely feature against the Stormers next week. 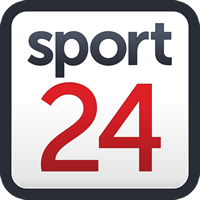 The wingers are the ex-Springbok Sevens duo of Cornal Hendricks and Rosko Specman, with another former Sevens star – Dylan Sage – who was named Sevens player of the year on Thursday in the midfield. In all the Bulls will field 10 Springboks, with another Sevens Bok in Tim Agaba on the bench. Human said he wants a more polished performance this weekend. “We reviewed the game afterwards and we feel we played really well, but we gave away really easy, soft tries to them. Still, the penalty count was too high for me and it is unacceptable and we must kick on, be consistent and be better on Saturday. “I think it is rustiness. Most of the guys only played their first game in a while, but we sorted that out and I’m looking forward to Saturday,” he added. Vodacom Bulls: Warrick Gelant, Cornal Hendricks, Jesse Kriel, Dylan Sage, Rosko Specman, Handre Pollard, Embrose Papier, Duane Vermeulen, Thembelani Bholi, Ruan Steenkamp, Lood de Jager (c), Jason Jenkins, Trevor Nyakane, Schalk Britz, Lizo Gqoboka. Reserves: Johan Grobbelaar, Matthys Basson, Conraad van Vuuren, Hanro Liebenberg, Paul Schoeman, Jannes Kirsten, Tim Agaba, Andre Warner, JT Jackson, Jade Stighling, Divan Rossouw.